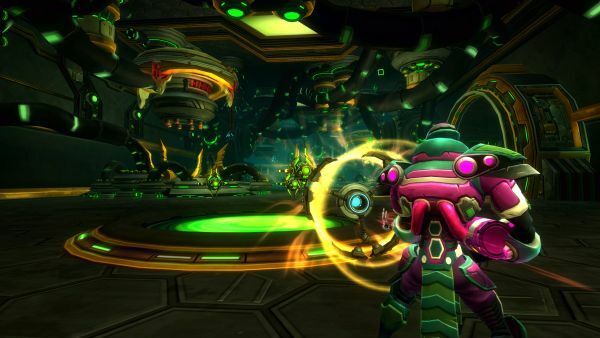 Only three months in and things are really about to heat up for Carbine Studios and their Sci-Fi/Fantasy MMORPG: Wildstar. Recently, I had the opportunity to speak with Chad Moore, AKA Pappylicious, the Creative Director for Carbine Studios and WildStar. Today, we’re here to talk more about his day-to-day life as a creative director, as well as talk a little bit about his favorite influences on WildStar’s lore, including the upcoming lore and story elements for the Defile update. Mikedot: Hello there! So as I introduce myself, my name is Michael Sagoe, but you can call me Mikedot. For those that don’t already know: Could you introduce yourself for our viewers and tell us a little bit about yourself? Moore: Well as the creative director on WildStar, my job is basically to create, develop and ultimately maintain the WildStar IP, which has a lot to do with lore, story, narrative design and many other elements such creating the iconic characters of WildStar with their motivations, the story of Nexus and more. That’s a big part of my job, but other things I’m responsible for include the general tone of the game, press releases and making sure that “the voice” we use to represent our game is consistent, and always doing its best to represent this game that we have been developing for such a long time. I work a lot with the brand team, the website team, the cinematic team, casting, writing scripts and a lot of other teams on the side. My favorite part of my job is meeting up with so many talented voice actors in guiding them and developing some of these characters that have become popular and well known among our players. It’s a pretty busy job, but it’s also an incredibly fun experience. Mikedot: What are some of your main influences when it comes to creating lore for WildStar? Moore: So I’m a very huge Sci-Fi fan. I read a lot of Sci-Fi novels and watch Sci-Fi movies and play a lot of Sci-Fi games, which helped me and the team with creating the world of WildStar. One of the biggest influences for the game would have to be Firefly, just in terms for the general tone for our game. The very idea of having a western theme set into a science fiction universe was a brilliantly done by Firefly, and when we were creating the story of Nexus between the Exiles and the Dominion, just the idea of venturing into this unexplored planet filled with hostile frontiers, we felt that there was a lot of resonance with Firefly, so we took a lot of inspiration from what they’ve done, and it shows. I’m also a big fan of movies like Alien (and I think that entire universe is just really fascinating) and there’s some parallels between those movies and our game, such as stories of the Eldan and what they were doing on the planet Nexus, and some of the more frightening and horrific aspects of that series blended in with our sci-fi theme very nicely, so you could say that Alien was also a very big influence on WildStar as well. Generally, we also took some influences from the Star Wars Trilogy (mainly the original trilogy, but then again, I’d say that Star Wars is a pretty big influence for many people) but I thought it was a great way to tell a huge story about spanning the galaxy and I think there was a lot of inspiration there, especially when we were building the overall story about coming to Nexus, so we included some parallels with that, too. Just in general: We read lots of comics and books, and we really like to reflect some of those creative ideas wherever they make sense in WildStar, so players will probably see a little bit of everything while they’re playing the game. 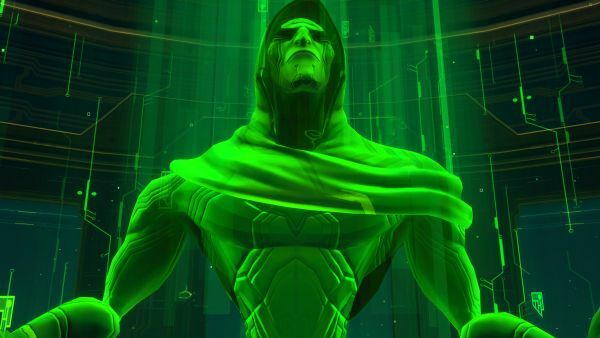 Mikedot: What are some of you and your team’s most difficult hurdles to overcome when creating lore for WildStar? Moore: Well, I think that originally when we very first began the project, it was important for us and just about any game to say: “What is the hook? What is the core of the game? What is going to draw people into our game?” It took us awhile to figure out what the idea was, and what we came onto was this notion of this sort of legendary planet that exists in the unknown regions of space, and at some point gets discovered. When we developed that idea as the core of our game, everything else kind of fell out from that, but there were a lot of false starts when we were creating our game. Some ideas were just better than others, and many ideas were just left on the cutting room floor. And then afterwards, once you have all those elements in place, the next biggest question is “What’s the personality of your game?” While it can be difficult to write lore, but the biggest issue here is to ask “How do we work with these characters in a way that is new and unique and fresh?” We spent a lot of time doing this from a development standpoint, even with things such as the Granok race. “What do they look like? How do they talk? What do they care about most in life? Why the hell do they love beer so much?” All of these questions are taken one at a time, and they may seem small and almost unimportant, but it is really important to realize than when creating the DNA of your game, it’s really important to establish a foundation for just about everything you have in the game. 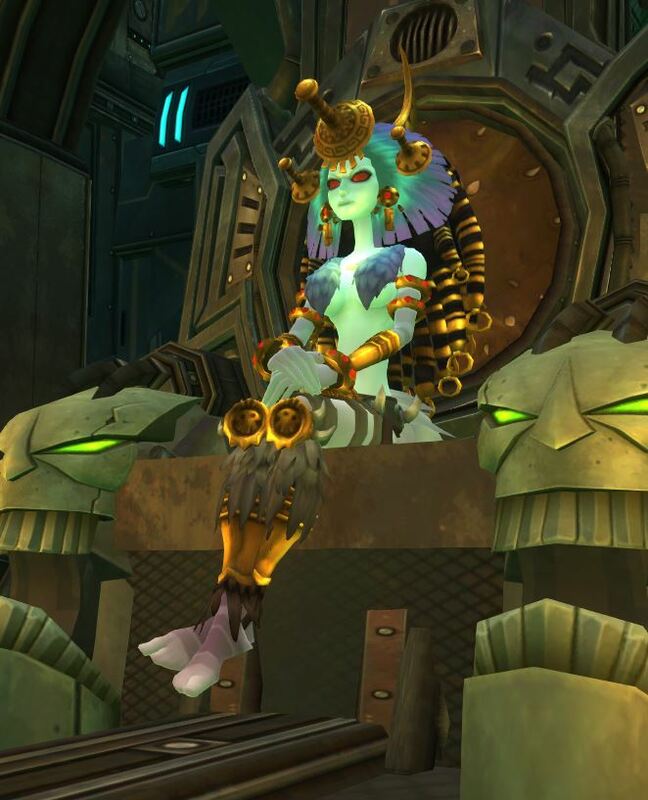 Setting these foundations is something that I feel we did very well as a studio to create a pretty unique personality for WildStar, one that you normally don’t see in the MMO space. 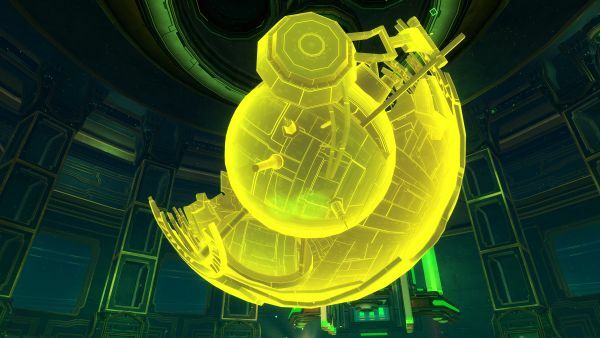 Mikedot: What was your favorite piece of WildStar’s lore/story that you came up with? Moore: Well, that’s a good question! My favorite story, almost in the entire game, is the story of Tresayne Toria who is this legendary Cassian hero who was brought to planet Nexus and the Eldan used her genetic information to create the very first member of the Dominion. But the story really just begins there… She’s been alive for almost 2000 years and I think that once players get to Wilderrun and learn more about the events that transpired there, they’ll really see why that’s one of my favorite zones and stories in the game. I just leveled up a new character and re-played through that zone recently, and I still get giddy when I play through that area because I really feel that it presents some of our coolest content. Mikedot: Now this may be a bit of a touchy subject and off-topic, so feel free to object to this, but with Jeremy Gaffney’s departure as President of Carbine Studios, has this affected your position as Creative Director in any way? Moore: As many of our fans know, Jeremy was a very passionate individual. It was very obvious that he loved WildStar and he was a really great leader through many years at Carbine Studios as we were developing the game. Personally, I miss Jeremy and I’m still in contact with him. There are a lot of things that Jeremy used to do for the company, whether it was from a design perspective or interacting with the community. Those are now some things that I have more responsibility handling, which I like doing and appreciate very much. But as a company, we miss him. He was a great guy to work with and we wish him nothing but the best. Mikedot: Would you ever consider introducing a quest line that requires the player to have extensive knowledge of past quests and lore entries, or do you feel that would be a bit too much? Moore: I think that’s a fine line to draw in an MMO, especially in a game like ours, because we generally don’t gate content with other content (of course, there are a few exceptions to that rule.) I think that we like to keep content as open as possible. For example: Say the player wants to level up almost solely through PvP content and decided not to do any quests until reaching level 40, and when that player jumps into said quests, there may be storylines that the player doesn’t understand since they haven’t played any of the PvE content up to that point. I think our assumption with almost all of the content that we create is when we introduce stories or characters to players, we assume that players are progressing through the game in a way that we designed it, so we never try to throw too much information at the player or too much information that the player would have never have known through regular progression. I suppose there could be situations where players haven’t been playing through zone content in a straightforward way and could end up getting lost at some point, but from a general design philosophy, we always try to provide the player with appropriate context so that they generally understand what they’re doing and why they’re doing it. Mikedot: There’s lots of fun stories that players like to create or end up creating in WildStar, especially on the Roleplaying server which I happen to be a part of. One of my experiences involved saving a friend that was falsely accused of harboring an Exiled Human. The question I have here: Would you ever consider including player-created stories as tidbits or footnotes? Moore: I’d consider it! Right now, we don’t have a process for that sort of feedback and design, but as an individual, I don’t have any issue with listening to some of the cool ideas that are out there in the community and implementing them into the game. I had a staff conversation very similar to this question some time ago and I was describing to someone that there was a lot of things that the community has come up with that made me say “Hey, that’s pretty cool.” There are a lot of things from the community that we take note of, and as we go forward, some of the assumptions that the community are making and some of the ideas they have that would make the game more exciting or more compelling are very well documented and are going to influence some of the stories that we are going to tell in the future. So, I’m definitely not against the idea. I always say that our players are the most creative when it comes to thinking up stories that could be told in our universe, so I’m always browsing the forums, reading up on the stories that players have experienced or came up with and I’m always enjoying that sort of thing. Mikedot: So with the upcoming Defile update, without revealing any spoilers, could you tell us some information about it and what the player’s role will be in this update? Moore: So the Defile is the last zone which concludes the story that players have started at level 1, and that story being “What were the Eldan doing on Planet Nexus, why aren’t they here anymore, who is Drusera and the Entity?” The final reveal about all of that information happens right at the end of the Defile content, in a monolithic tower called “The Lightspire”. All of the content that is in the Defile update is all specifically made to lead up to this grand finale, including solo-content and 5-man content that is focused around a giant Eldan machine called the “Black Focus” that the Entity and The Strain have been using to corrupt and destroy all of Nexus, so players are going to have to go in with a group and shut down this machine, then defeat a powerful minion known as Koral the Defiler. There is also a 20-man public event that leads up to the gates of the Lightspire itself. Players will have to engage in coordinated bombing runs and battle against some of the most powerful, corrupted lieutenants of the Entity, all leading up to a raid-level encounter with a massive creature called the Dreadwatcher. This is just one of many flavors of content that we have prepared with the Defile update, but there is also one piece of content that we’re currently preparing that isn’t even available on the Public Test Realm yet. I can’t say too much since many details are still a work in progress, but this will be a way for lore-hungry players to reach the fine story parts of the Defile on their own. Mikedot: Also, without giving spoilers, how does the Omni-Core 1 tie in with the Genetic Archives raid? Moore: So after players see the big reveal at the end of the Lightspire, this begins a story in the world of WildStar which we’d like to call “The Nexus Saga”: A multi-part story which guides the players through new adventures once they’ve learned the big secret regarding the planet Nexus. Journey into Omni-Core 1 is the first chapter for the Nexus Saga, and what players will be doing in Omni-Core is that Drusera will be tasking players to fix the Caretaker, who is this fractured, broken, advanced Eldan AI that many players will meet while playing the game. Something happened a long time ago to the Caretaker that shattered its neural core, which caused it to develop some erratic behavior. Sometimes the Caretaker will be your best friend, and other times he can be your worst enemy. As parallel to the Datascape raid: The 40-man team is going in to collect the shattered pieces of the Caretaker’s neural core and bring them back together, which is all done in a virtual space. Omni-Core 1 contains a computer that runs the Datascape program, and players will have to travel into the heart of this advanced computer and once the Datascape team has retrieved all the pieces, solo players in Omni-Core 1 will have to reboot the system in order to help fix up the Caretaker and reset its behavioral patterns back to green. Simply put, the whole point of venturing into Omni-Core 1 is to help reboot the entire system and restore the Caretaker once and for all, because only the Caretaker can access most, if not all of the Eldan’s secret files and retrieve the next piece of the puzzle that players will have to complete once they’ve found out about at the big secret revealed in the Lightspire. Players will also interact with key faction members (Belle Walker for Exiles and Axis Pheydra for Dominion) who will occasionally be checking in with the Datascape team to see what their progress is and what some of the challenges that they’re overcoming. Occasionally, players will interact with NPCs from the Datascape and they’ll give you things from the virtual world that players can use in the real world in order to assist with the operation. Then, once both teams have done their jobs, players will be at the bottom and defeat a massive creature call “The Cortex Controller” before completing the objective. As both of these stories run in parallel, it creates a unique way to tie in the solo-content story and the group-content story together. Mikedot: What kind of challenges will players face in the Omni-Core 1? What kind of diabolical schemes has the Caretaker whipped up this time around? Moore: So from an experience standpoint: Journey into Omni-Core 1 is sort of the next level in terms of challenges and content when compared to the Drusera Instances. Players that have played through these instances will get a general idea of what to expect, including some path-exclusive functions and unique game mechanics. Omni-Core 1 will take everything that players have previously experienced in the Drusera Instances and turn the difficulty level up to 11. There’s going to be full voiceovers for NPC characters, full cinematics and fun experiences including jumping puzzles, logic puzzles and even combat scenarios that are tied in with puzzle solving. 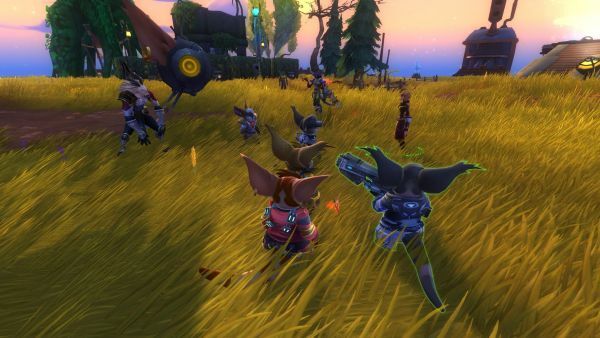 Overall, the experience of Omni-Core 1 is something completely unique to WildStar as the next level of storytelling for our game and I feel that players are really going to dig it once they get their hands on it. Mikedot: So could you possibly tell us when the Defile update will be hitting the live servers? Moore: I would love to tell you that! But sadly we cannot reveal any dates just yet, mainly because our entire team is making sure that this next content drop will be super stable, bug-free and provide the most polished experience it can be. From a story perspective, we want to make sure that all the content in this drop is really enjoyable for the players, and also from a value perspective, we want players to feel like they’re getting the most value from their subscription. Mikedot: Oh, and a bit of a final, personal question: Which is your favorite non-playable race in the game and why? My favorite non-playable race is the Ekose! Moore: Well, this question sort of falls in line with the previous question regarding Tresayne Toria, but my favorite non-playable race would have to be the Torine Sisterhood, who are basically these badass, sword-wielding warrior women who follow Tresayne Toria and live in the deep jungles of Wilderrun. These warriors are super tough and super cool! I adore their whole vibe and their stories are just fascinating for me, so they’re definitely my most favorite. My second favorite non-playable race would be the Osun, because I think the story of these massive barbarian-like creatures that were created by the Eldan, but then suffered some catastrophic event that happened to their civilization. They’re kind of cool, but somewhat tragic races that have big story implications that have been presented in the game, so that’s why they’re second on my list. Mikedot: And with that said, is there any other comment you’d like to make before we wrap this up? Moore: What we’re trying to do with Journey into Omni-core 1 and the Nexus Saga is just one of the many promises we were planning to make with our players a long time ago. The promise that were going to tell the story of WildStar, the most epic story that were going to be told in many different forms of solo-content, rather than be told through only just raid content. 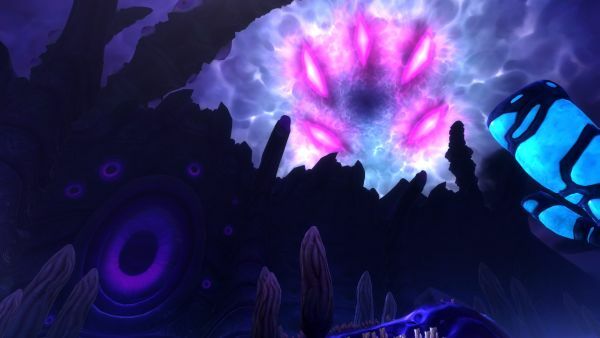 Journey into Omni-core 1 is our manifestation of that idea, providing an epic experience with a super cool location, awesome characters and is accessible to anyone that really digs the lore of WildStar and wants to dig into the story a bit more. This is just another example of all the stuff we want to deliver to our players as Elder Game content, and there’s much, MUCH more on the way. Mikedot: Well then, I’d like to say thank you for your time! It was nice meeting you and I hope to have a chat with your in a future. KOG Games is celebrating Valentine's Day with its Elsword players with the return of GFRIEND - bringing in new costumes and dance moves!